Whether you’ve recently had a tree cut down, or a stump has been sitting for years, now is the time for removal. 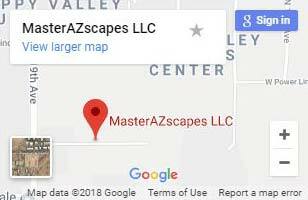 At MasterAZscapes LLC we heavily advise professional stump removal services. As professional landscapers, we have the appropriate equipment and expertise for an efficient stump removal Phoenix residents can depend on. Dependability isn’t the only reason to choose professional stump removal—Phoenix services from our experts provide many more benefits. Enjoy the benefits of expert stump removal! Protect yourself – Tree stump removal can be very dangerous. Many amateur removers suffer injuries every single year. Stumps are often anchored deeply within the ground, and may still be held in place by their root system. 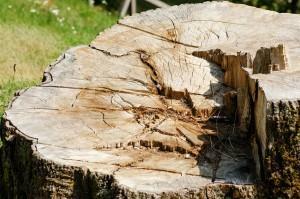 We can effectively and safely remove your tree stump. Don’t risk your health, we can help. Protect your property – Tree stumps are like pre-constructed nesting grounds for termites, flying insects, and even rodents. These pests frequently move to the nearest building when their nest is too small. That’s often a house or business. The easiest way to avoid this is with stump removal Phoenix services from our full service company. Improve your landscape – Stumps can be a major eyesore. They can mar an otherwise pretty property. With our stump removal, Phoenix property owners can actually improve property value. This also paves the way for additional landscaping. Without an unsightly stump you can truly make your yard your own. For reliable, safe, and affordable stump removal in Phoenix, call (623) 780-0474 or Contact Us today.